Asking for the Job during an Interview - Best strategy to getting a job. Asking for the Job during an Interview – Best strategy to getting a job. 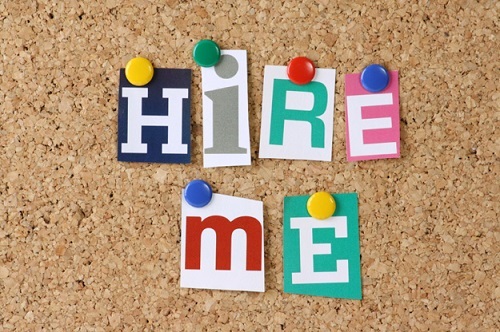 Do you know asking for the job is another crucial strategy to getting your dream job? “Ask and you shall receive.” Although this may work in particular circumstances relative to religious requests, it is not quite that easy in the interview process. (Although before a job interview. it is not a bad idea to pray for success.) When you look at successful people, many will openly tell you that they are aggressive and go after what they want. One way to go after what you want is to ask for what you want. This is the principle here. Ask for the job! Ask for the job! – best job interview tips ever. Asking job interview questions can also be used as a tool for showing interest in the job and impressing the interview team. The best way to do this is to Ask for the job. Asking for the job is an important piece of the interview. Job offers are turned down more often than expected and employers know this happens. To tell the employer that you are truly interested in the opportunity, ask for the job. Below is a list of seven questions that you can use to ask for the job. What is the next step in the process? I am very anxious to move forward. I know that you may not have an exact answer for this question, but based solely on what you have seen from me today, will you be recommending me for the next step in the process? How soon will I be provided with more specific feedback on the next step in the process? Have I provided you with all the information that you need to offer me the job? Have I provided you with everything that you need? I am certain that I am the right person for this job and want to make sure that you have everything you need for your decision making process. I am extremely interested in this opportunity and feel my experience is a perfect fit. Please let me know what I need to provide to you so that you can consider me for this job. It was such a pleasure to meet you. I would love to be asking you; when can I start? But that seems presumptuous. Can I provide you with any more information that would lead you to select me for this role? Asking for the job can be tricky though. You want to express genuine interest while not coming across as cocky or unprofessional. This can be a fine line. (I have been married for over 10 years. This concept reminds me of my single bar days where there were those overly cocky bar guys who would come on way too strong. You do not want to come across like that.) Instead, you want to come across as professional and even helpful. To come across in that way, focus on the employers needs. Specifically, ask for the job in a way that says, “I want to provide you with everything you need.” For example, ask for the job using phrases such as: What other information can I provide you to convince you that I am the right person for this job? This approach demonstrates the correct level of interest and tells the employer that you are a savvy professional. Asking for the job may seem hokey but it works! Employers struggle to select between equally qualified candidates. Asking for the job allows you to rise above similar competition. I have seen it many times. The one who asks for the job gets much more consideration than the candidates who do not ask for the job. Ask for the job – another crucial strategy to getting your dream job.